CARFAX 1-Owner, ONLY 4,975 Miles! Onboard Communications System, iPod/MP3 Input, Smart Device Integration, Keyless Start, Satellite Radio, SOUL RED METALLIC PAINT, Aluminum Wheels, Premium Sound System. READ MORE! 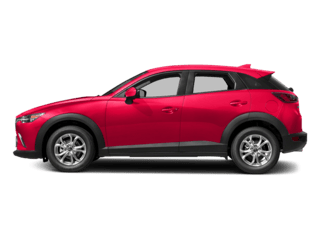 KEY FEATURES INCLUDE Premium Sound System, Satellite Radio, iPod/MP3 Input, Onboard Communications System, Aluminum Wheels, Keyless Start, Smart Device Integration Rear Spoiler, MP3 Player, Keyless Entry, Steering Wheel Controls, Electronic Stability Control. OPTION PACKAGES SOUL RED METALLIC PAINT. 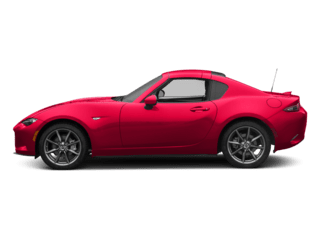 Mazda MX-5 Miata Club with SOUL RED METALLIC exterior and BLACK interior features a 4 Cylinder Engine with 155 HP at 6000 RPM*. EXPERTS REPORT Edmunds.com explains Like every MX-5 before it, the 2016 model is best when the road turns twisty. 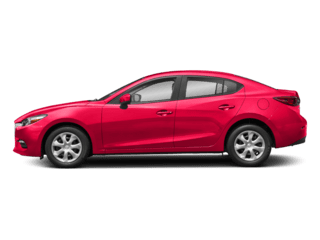 It zips around turns with an enthusiasm few other cars can match, while the efficient four-cylinder engine makes enough power and sound to keep the good times rolling.. Great Gas Mileage: 36 MPG Hwy. AFFORDABLE Reduced from $23,899. 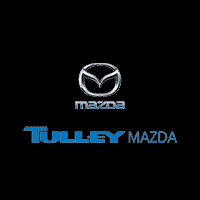 PURCHASE WITH CONFIDENCE CARFAX 1-Owner OUR OFFERINGS Tulley Automotive with locations in both Nashua, NH and Manchester, NH treats the needs of each individual customer with paramount concern. We know that you have high expectations, and as a car dealer we enjoy the challenge of meeting and exceeding those standards each and every time. Allow us to demonstrate our commitment to excellence! Horsepower calculations based on trim engine configuration. Fuel economy calculations based on original manufacturer data for trim engine configuration. Please confirm the accuracy of the included equipment by calling us prior to purchase. CARFAX 1-Owner, LOW MILES - 14,222! NAV, Heated Leather Seats, Convertible Hardtop, Smart Device Integration, Cross-Traffic Alert, Onboard Communications System, Premium Sound System, Alloy Wheels, iPod/MP3 Input, Satellite Radio. READ MORE! KEY FEATURES INCLUDE Leather Seats, Navigation, Heated Driver Seat, Premium Sound System, Satellite Radio, iPod/MP3 Input, Onboard Communications System, Convertible Hardtop, Aluminum Wheels, Smart Device Integration, Cross-Traffic Alert, Blind Spot Monitor, Heated Seats, Heated Leather Seats MP3 Player, Keyless Entry, Steering Wheel Controls, Heated Mirrors, Electronic Stability Control. 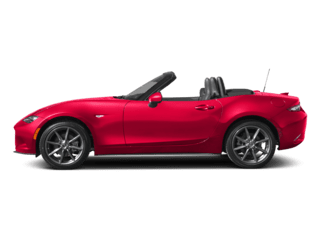 Mazda MX-5 Miata RF Grand Touring with JET BLACK MC exterior and BLACK interior features a 4 Cylinder Engine with 155 HP at 6000 RPM*. 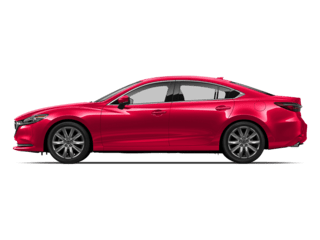 EXPERTS ARE SAYING KBB.com explains If you've ever dreamt of owning a lithe, responsive 2-seat roadster with the spirit of a classic British roadster -- but that's thoroughly modern, safe and reliable -- look no further than the 2017 Mazda MX-5.. PRICED TO MOVE Was $27,488. SHOP WITH CONFIDENCE CARFAX 1-Owner OUR OFFERINGS Tulley Automotive with locations in both Nashua, NH and Manchester, NH treats the needs of each individual customer with paramount concern. We know that you have high expectations, and as a car dealer we enjoy the challenge of meeting and exceeding those standards each and every time. Allow us to demonstrate our commitment to excellence! Horsepower calculations based on trim engine configuration. Please confirm the accuracy of the included equipment by calling us prior to purchase. CARFAX 1-Owner, GREAT MILES 32,259! Nav System, Moonroof, Heated Leather Seats, Third Row Seat, Power Liftgate, Rear Air, Aluminum Wheels, Turbo Charged Engine, All Wheel Drive. CLICK ME! KEY FEATURES INCLUDE Leather Seats, Third Row Seat, Navigation, Sunroof, All Wheel Drive, Power Liftgate, Rear Air, Heated Driver Seat, Back-Up Camera, Turbocharged, Premium Sound System, Satellite Radio, iPod/MP3 Input, Onboard Communications System, Aluminum Wheels Rear Spoiler, MP3 Player, Remote Trunk Release, Keyless Entry, Privacy Glass. 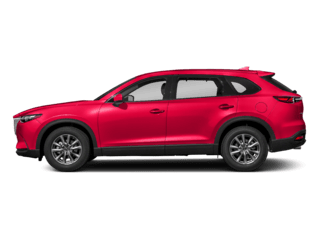 Mazda CX-9 Signature with SONIC SILVER METALLIC exterior and AUBURN interior features a 4 Cylinder Engine with 227 HP at 5000 RPM*. 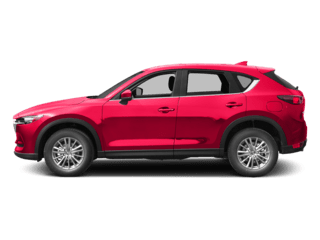 EXPERTS REPORT KBB.com's review says The all-new Mazda CX-9 feels lighter, nimbler and even more athletic than its predecessor, while also boasting a quieter ride. Thankfully, the new CX-9's dynamic ways don't come at the cost of a stiff suspension. This one ably absorbs rough patches.. Great Gas Mileage: 27 MPG Hwy. EXCELLENT VALUE Was $32,995. 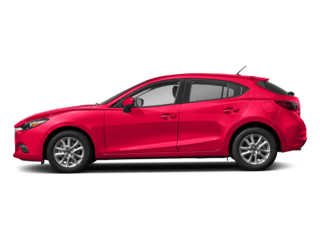 BUY WITH CONFIDENCE CARFAX 1-Owner WHY BUY FROM US Tulley Automotive with locations in both Nashua, NH and Manchester, NH treats the needs of each individual customer with paramount concern. We know that you have high expectations, and as a car dealer we enjoy the challenge of meeting and exceeding those standards each and every time. Allow us to demonstrate our commitment to excellence! Horsepower calculations based on trim engine configuration. Fuel economy calculations based on original manufacturer data for trim engine configuration. Please confirm the accuracy of the included equipment by calling us prior to purchase.